Stacey is the selections manager at Main Street Homes. She helps our clients envision, select, and source the finish materials for their home, from the exterior windows and doors to the last piece of cabinetry hardware. 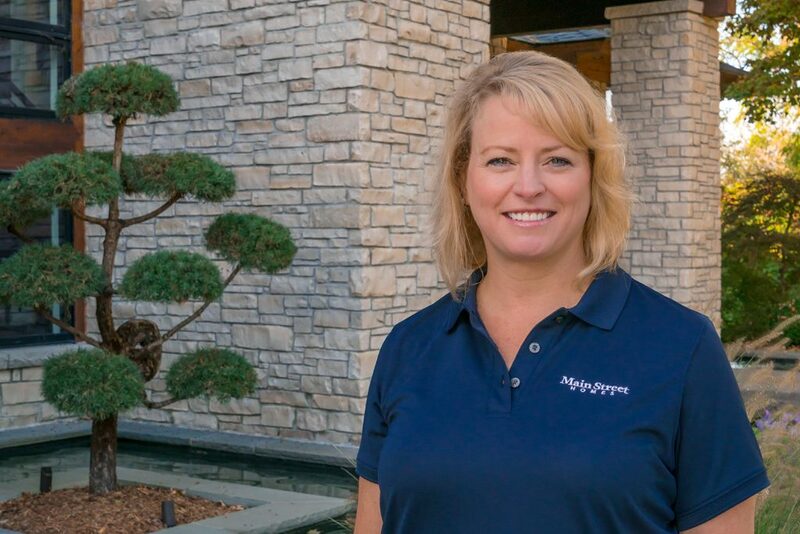 Stacey graduated from Central Michigan University with a BA in Interior Design and brings more than 30 years of experience helping home owners fulfill their new home dreams. In her essential role, Stacey gets to know each of our clients and their individual taste and works to select materials that capture their vision, or find sources for materials clients have been drawn to. She will also accompany our clients to various suppliers and vendors, offering her design expertise and experience to help with the selection process. Stacey is raising three young men and has two dogs that keep her active. She enjoys cooking, gardening, and reading crime novels. On the beach or near the water is her favorite place to be.